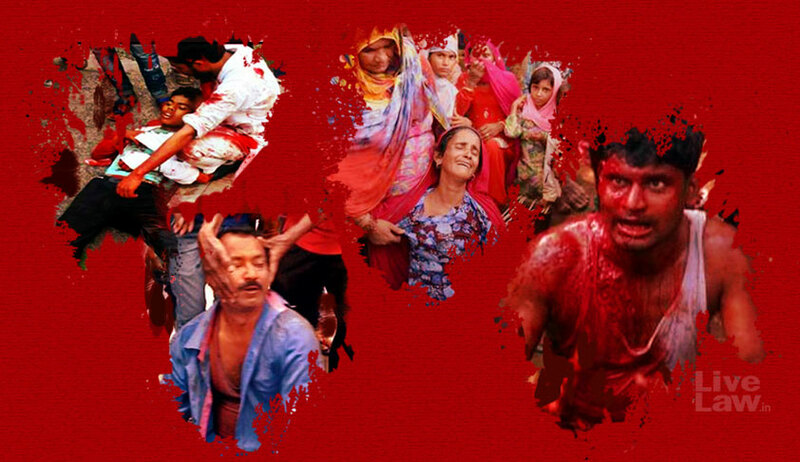 The Supreme Court bench of Chief Justice Dipak Misra, Justice D. Y. Chandrachud and Justice A. M. Khanwilkar on Monday required all states and UTs to comply within one week with the preventive and remedial measures issued by it in its July 17 verdict to circumvent the alarming rise in the instances of mob violence and cow vigilantism. Senior Advocate Sanjay Hegde, appearing on behalf of petitioner and Congress leader Tehseen Poonawalla, tendered to the court the names of the states and the UTs that are yet to submit their compliance report in the light of the judgment. The bench required him to prepare a state-wise compilation of the victims of mob violence who have not received any compensation and to notify the concerned state counsel. Senior Counsel Indira Jaising, having moving an application for contempt against the state of Rajasthan in the wake of the unfortunate Alwar lynching episode which transpired days after the July 17 judgment, urged that there be fear in those who take the law into their hands of inviting the wrath of the law, indicating that the accused in the said incident may even contest elections. At the previous hearing, Ms. Jaising had questioned why three of the police officers who had prioritised bringing the cows to the nearest ‘gaushala’ over taking the victim to the hospital, by reason of which he had succumbed to his injuries, have been transferred and no departmental action initiated against them. ASG Tushar Mehta had informed the bench that, in pursuance of the service rules, the SHO has been placed under suspension in contemplation of disciplinary proceedings while the constables have been transferred. Further, he submitted that three out of the four accused have been arrested, the investigation ongoing in respect of the fourth who is absconding. He also advanced that the chargesheet under section 302 of the IPC shall be filed on That same day itself. Attorney General K. K. Venugopal had conveyed to the court that the Union of India has filed its report in pursuance of the July 17 decision. In the light of judgment having recommended the Parliament to consider enacting a special law to tackle the instances of mob violence, He also averred that the Empowered Group of Ministers is analysing the nature of legislation to be passed. On being notified that as per the Office Report only 11 states have filed the compliance reports, the bench had granted one weeks’ time to all states and UTs to do the needful, failing which it shall require the personal appearance of the home secretaries of the concerned states. Finally, The apex court had required the Central and State Governments to comply, “without wasting any time”, with its direction to broadcast on radio, television and other public platforms that lynching and mob violence of any kind shall invite serious consequences.